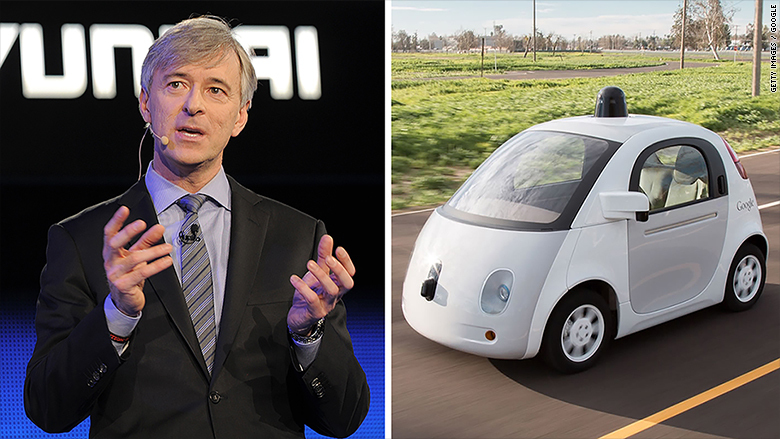 John Krafcik, a former head of Hyundai Motor America, will be CEO of Google's self-driving car program. 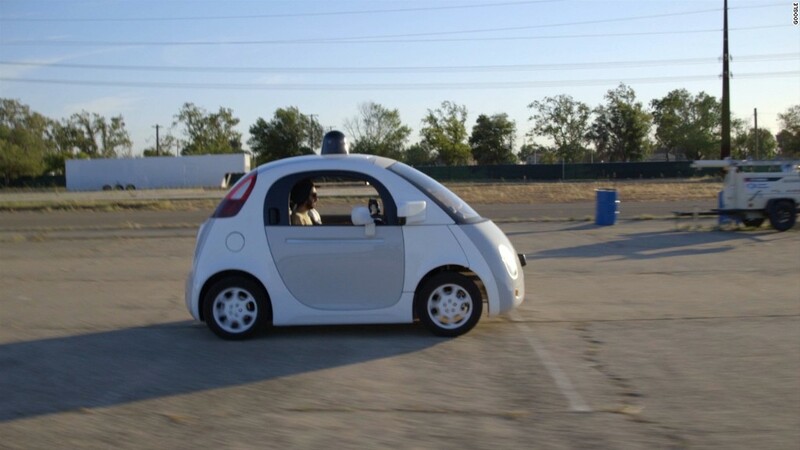 Google has found a car guy for its self-driving car program. John Krafcik, who previously was CEO of Hyundai Motor America and a product development executive at Ford Motor (F), will be the CEO of Google's self-driving car program. Krafcik had been president of online car sale site TrueCar before taking the position with Google. Google has been testing self-driving cars on public roads and highways in an effort to bring about a new generation of automobiles. It started out attaching sensors and self-driving technology to cars built by other automakers, such as a Toyota, Lexus or Audi. But now Google is having a unique gum-drop shaped car designed and built for its own program. Krafcik was in charge of Hyundai when it made a major push in the U.S. market, as the Korean automaker enjoyed a 50% jump in sales during his tenure there. Google has yet to give a target date for when its self-driving car might be available for sale, and whether it will sell the cars itself or license the technology to established automakers. The hiring of an executive with sales experience suggests Google might be getting closer to selling the car itself than has previously been expected. This is a great opportunity to help Google develop the enormous potential of self-driving cars. I can't wait to get started. Last month, Google (GOOGL) announced a new corporate structure. Different units of the company will be split off in separate divisions from Google's core Internet business. The self-driving car program will fall under Google X.
Google did not immediately respond to questions about hiring Krafcik, whose new position was first reported by Automotive News and confirmed by TrueCar (TRUE). Krafcik said in a tweet that he'll be joining Google later this month. "Self-driving cars could save thousands of lives, give people greater mobility & free us from things we find frustrating about driving today," he said in a subsequent tweet.